I prefer the smooth, this was OK, the flavor was the same, but I didn't really need any crunchiness on the things I put it on...most importantly Aebelskivers! 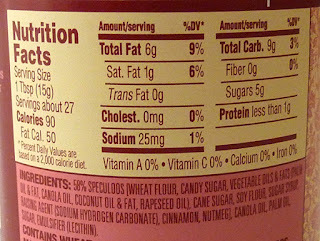 We put this on TJ's ginger cookies...MMMMMMMM!!!! Also good on apples. I'm afraid my head would explode from ginger overload if I put it on ginger cookies...but apples sounds like an interesting idea! Never heard of it, but my friend at work sent me your link and now I have to go get it, although I hear actualy obtaining it is altogether another story. I heard TJ's keeps it locked up with the high-end spirits. It's true LBCinSB. They have it in "the vault." And to get your hands on some, you must say the secret password, which is "ME WANT CRUNCHY COOKIE BUTTER!" Extra crunch, little crunch, velvety creamy either way they both taste yumlicious and it's like crack-o-butter I mean once you start you could literally eat it on anything and just keep going to the jar is gone! But I def. see how it would be nice with a little more crunch. To me it is like little bits of ginger snaps crumbled throughout the cookie butter! Indeed, Donella. Crack-o-butter is right. I prefer the crunchy cookie butter over the creamy one. 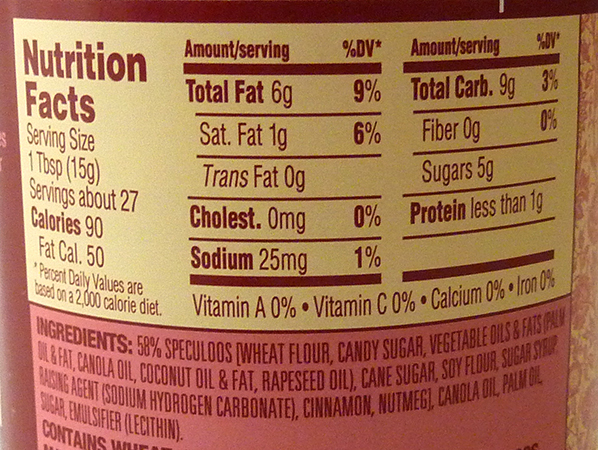 It gives more gingerbread but not too sweet molasses flavor. This one is good on everything - apples, bananas, bread, biscuit and crackers, etcetera. It was also good on apples, pears too - interesting combination. 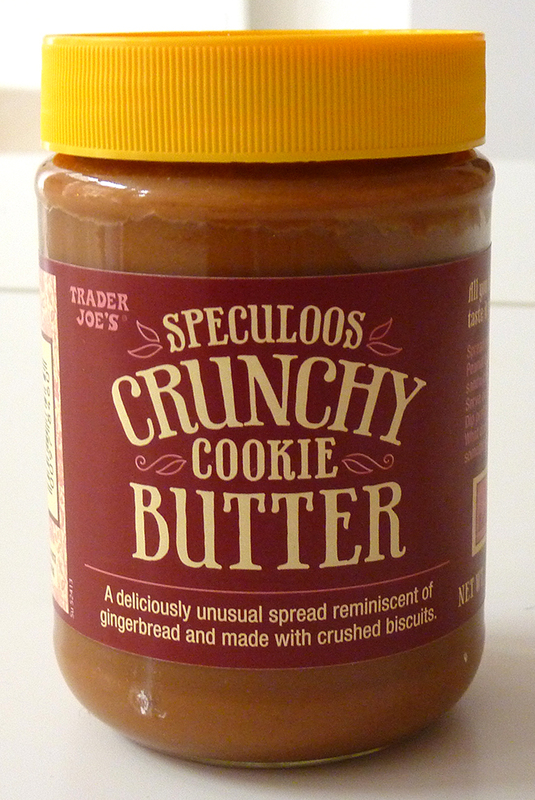 This is the best of all the speculoos cookie butter products they put out there. Can they brush my teeth with cookie butter instead of toothpaste?